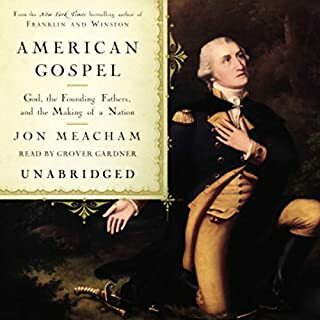 In American Gospel (literally meaning the "good news about America"), New York Times best-selling author Jon Meacham sets the record straight on the history of religion in American public life. 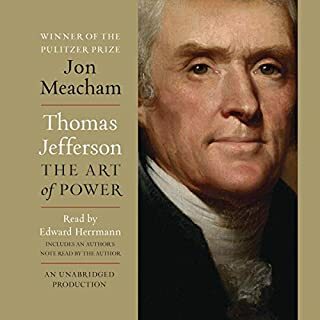 As Meacham shows, faith, meaning a belief in a higher power, and the sense that we are God's chosen, has always been at the heart of our national experience, from Jamestown to the Constitutional Convention to the Civil Rights Movement to September 11th. 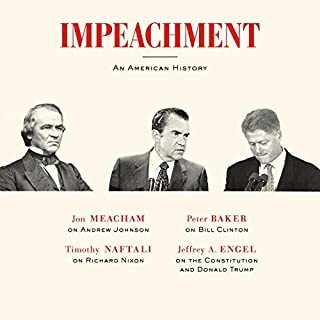 In the first book to consider these three presidents alone (Johnson, Nixon, and Clinton), and the one thing they have in common, Jeffrey Engel, Jon Meacham, Timothy Naftali, and Peter Baker explain that the basis and process of impeachment is more political than it is a legal verdict. The Constitution states that the president, "shall be removed from Office on Impeachment for, and Conviction of, Treason, Bribery, or other high Crimes and Misdemeanors," leaving room for historical precedent and the temperament of the time to weigh heavily on each case. May not scratch your personal itch, but read it anyway! The intimate, inspiring, and authoritative biography of Sandra Day O’Connor, America’s first female Supreme Court justice, drawing on exclusive interviews and first-time access to Justice O’Connor’s archives - by the New York Times best-selling author Evan Thomas. Remarkable woman, well served in this book. A sweeping, magisterial biography of the man generally considered the greatest president of the 20th century, admired by Democrats and Republicans alike. Traitor to His Class sheds new light on FDR's formative years; his remarkable willingness to champion the concerns of the poor and disenfranchised; and his combination of political genius, firm leadership, and matchless diplomacy in saving democracy during the Great Depression and the American cause of freedom in World War II. Rare Combination,,, Fact AND Feeling! Franklin Roosevelt and Winston Churchill were the greatest leaders of "the Greatest Generation." 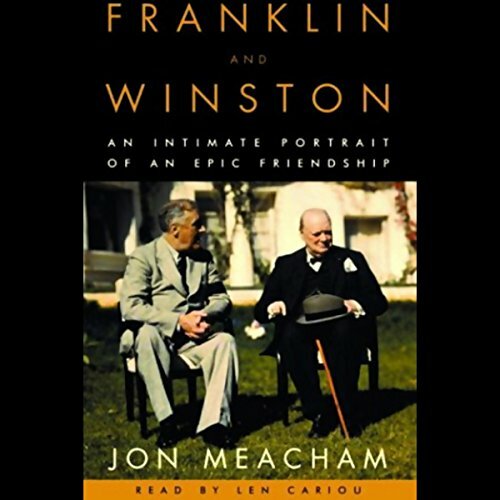 In Franklin and Winston, Jon Meacham explores the fascinating relationship between the two men who piloted the free world to victory in World War II. It was a crucial friendship, and a unique one: a president and a prime minister spending enormous amounts of time together and exchanging nearly two thousand messages. Amid cocktails, cigarettes, and cigars, they met, often secretly, in places as far-flung as Washington, Hyde Park, Casablanca, and Teheran, talking to each other of war, politics, the burden of command, their health, their wives, and their children. Born in the nineteenth century and molders of the twentieth and twenty-first, Roosevelt and Churchill had much in common. Sons of the elite, students of history, politicians of the first rank, they savored power. In their own time both men were underestimated, dismissed as arrogant, and faced skeptics and haters in their own nations, yet both magnificently rose to the central challenges of the twentieth century. Theirs was a kind of love story, with an emotional Churchill courting an elusive Roosevelt. Confronting tyranny and terror, Roosevelt and Churchill built a victorious alliance amid cataclysmic events and occasionally conflicting interests. Meacham's new sources, including unpublished letters of FDR's great secret love, Lucy Mercer Rutherfurd, the papers of Pamela Churchill Harriman, and interviews with the few surviving people who were in FDR and Churchill's joint company, shed fresh light on the characters of both men as he engagingly chronicles the hours in which they decided the course of the struggle. 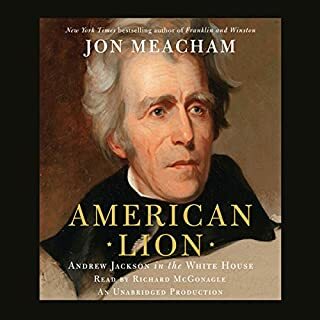 Charting the personal drama behind the discussions of strategy and statecraft, Meacham has written the definitive account of the most remarkable friendship of the modern age. 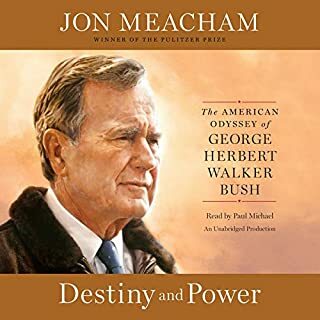 ©2003 Jon Meacham (P)2003 Books on Tape, Inc. Remarkable insight to perhaps the two most important figures in the 20th century. "W" is portrayed as the loyal friend for life-- an eternal optimist who delivered Britian from its darkest hour with the help from his sometimes aloof, and not so loyal Roosevelt, whom the author paints as long on charm, but sometimes as more opportunist than friend. The strong bonds that developed in the early years of the war between these men began to diverge during the pre-'44 plans for D-day, with Roosevelt loosening his ties with Churchill, to curry favor from Stalin. Stalin needed a Normandy diversion to ease Nazi pressure on the eastern front while Roosevelt, unable to predict completion of the Manhattan project, needed access to strategic Soviet airfields in Siberia for America's war against Japan. Churchill, on the other hand, mindful of the complexity of a channel naval invasion (and mindful of hard naval lessons past learned), was not quite ready to stomach the sacrifice in men that was sure to occur at D-day, at least not so soon as the proposed May '44 invasion. The fact that "F" and "W" disagreed is understandable, but the listener is left with a sense of regret that our "great" American president could have been more forthright and less political with the man who viewed Roosevelt among his closest friends. Franklin's cozy relations with "Uncle Joe" are made more distasteful by our retrospective view of the tyrant, a view, in fairness, Roosevelt did not have. While the "F" and "W" relationship was complex, and not completely devoid of emotion by Roosevelt, the traits of confidence and ego which made the "leader" Roosevelt, perhaps prevented the type of fraternal relationship we might have wished for them in retrospect. The author is masterful in providing us with the human frailties among the bundle of traits which made these men great. A very good listen indeed! I had high hopes for this volume and although I enjoyed it I do not feel I understand the two men any better than before. I did come away with a distaste for Roosevelt, who seemed cruel and purposefully devious, and more respectful for Churchill, who seemed to really make an effort to form a personal bond with a man who was not capable of returning such emotions. The author seemed simply to recite what he found, rather than interpreting the data, and I felt overall the book was rather thin. I listened to this book after hearing Roy Jenkins' excellent biography of Churchill (also on Audible) and found it a fine companion. I highly recommend listening to the Churchill biography before tackling this book. I found the narration excellent. Highly recommended. As one who has read Churchill's volumes on the Second World War and numerous other books related to the war years, I was skeptical that this book would offer me anything new or particularly interesting. I was wrong. The book offers a fresh understanding of the depth and importance of the personal relationship between Churchill and Roosevelt. It had its ups and downs, but it was an extraordinarily close and affectionate friendship. The relationship was critical to bolstering British morale in the early part of the war and played a key role in the strategic decisions that led to ultimate victory. It was a relationship that set the pattern for the close collaborations on military matters we have seen in subsequent years between the American and British leaders when their interests were aligned (think Reagan-Thatcher; Bush-Thatcher; and Bush-Blair). 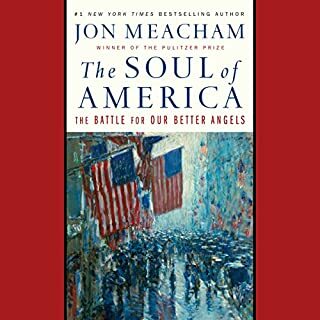 Meacham's writing style flows well. His commentary is thoughtful and credible and shows a personal touch. He brings insights to each situation that ably complement the letters, cables, interviews and other first-hand sources that he cites. Overall, I liked the book. It has a lot of interesting anecdotal material, which I greatly enjoyed knowing. But the way the book is arranged is distracting and it jumps around between historical fact and quaint anecdote in a way that makes it seem trite in places. You have to pay attention to really get anything of depth from it. But if you persist, you'll probably like the book. The narrator has a style that sort of reminds you of a political commentator on TV. But he doesn't aggravate and his voice is clear. Perhaps my disappointment in this work was because of an expectation -- that a scholarly work of this depth, after SO much has been written about these men before, would rightly reveal some new perspective or alternate interpretation of them. As such, I did not finish the book, although I did get as far as America's entry into World War II. No mention was made as to whether either Churchill or Roosevelt knew more about the impending attack on Pearl Harbor, even if only to impeach such theories. I was begging for this book to tell me something outside what conventional historical records shows. The narration for this type of hisrical work was very "audible" and well read. Outstanding analysis of the relationship between two key leaders of the Twentieth Century. For a full appreciation of the background of Churchill's interaction with Roosevelt, 'CHURCHILL" by Roy Jenkins is a must read. This wonderfully indebt book tended to get long, and sometimes I wished for more of the personal stories during the horrors of war. While this important historical relationship forever changed the world, this reader found the book slow and redundant. However, both Franklin and Winston gained respect and gratitude, and I did learn a lot about their lives and their relationship, as well as their wives and families.